Let’s say you’re walking past your windows on an average day and you see condensation taking formation on your window. If your home has newer windows, you may wonder why this is occurring, but if you have older windows in your home, the reason may be obvious. 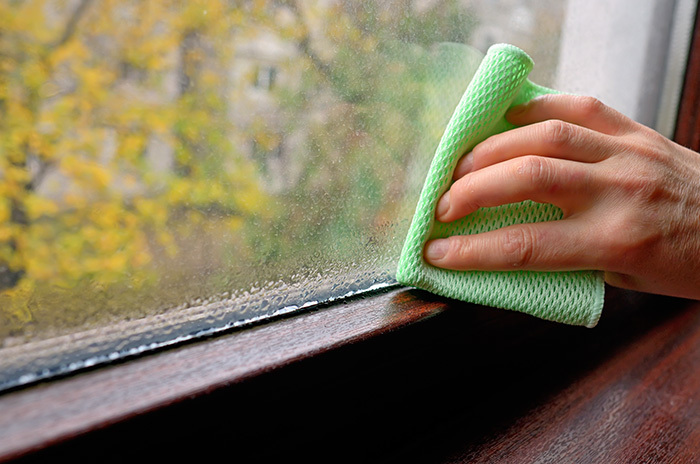 As a homeowner, you’re well aware by now that the presence of excess moisture is never a good sign, so what does this mean when you notice its existence on your windows? Why Does Condensation Form in Newer Homes? Newly built homes or older homes—condensation knows no bounds to which structure it affects. For older homes, it may seem more obvious that window seals are worn and not as secure as the ones installed for newly constructed homes, so you may be left wondering why new homes still see condensation in the windows. After all, newer homes are built to ensure that condensation and energy loss are non-issues, so what could be the problem? 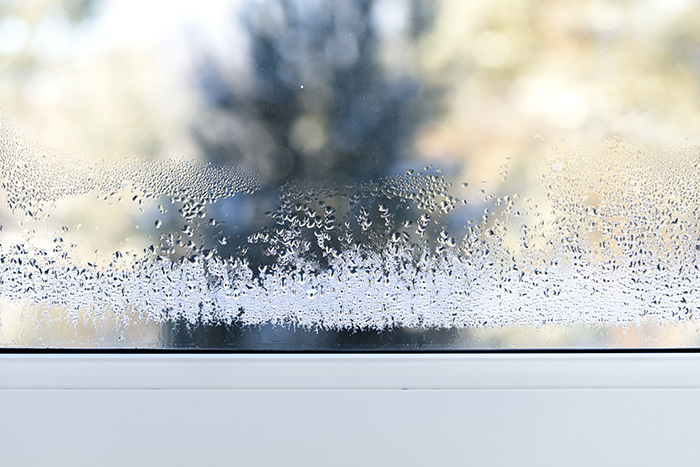 You may notice your windows have more condensation when the temperature drops below 40 degrees Fahrenheit, and because of this, much of the reason behind condensation can be blamed on the humidity levels in your home. If you’re making use of your fireplace and burning gas or propane, this could also contribute to the humidity level inside of your home. Gas and propane are known to release moisture, and extensive use of the fireplace with these flammables could be the reason why your windows are sweating. For a home that was recently constructed, newly installed floors, concrete, and other building materials could also be the reason behind condensation in your windows. These materials take a few months to completely set and dry, and excess moisture could be lingering in your home, getting trapped between windowpanes, mingling with the outside’s differing temperature. What You Can Do About Condensation? Condensation affects millions of homes across the country and fortunately for you, many homeowners have sought resolution in easy and low-cost solutions. Your first task is to start with the basics, which means detecting moisture within your home. Installing a hygrometer, a device that measures moisture in the air, will allow you to do so, because the more information you can collect about the humidity and moisture in your home, the more likely you can take action in reducing it to prevent condensation buildup and other problems that can occur. Armed with your hygrometer, you’re now able to detect when the interior moisture levels spike so you can adjust the temperature to reduce them. Your hygrometer is an incredibly helpful tool to prevent moisture from lingering and collecting in your home, and this can save you thousands of dollars in costly repairs to fix the damage that moisture can wreak. Is condensation still a problem? Consider installing exhaust fans and vents in humid or moisture apparent parts of your home to help cut down on the chance of condensation forming in your windows. Rooms like bathrooms, laundry areas and kitchens should utilize exhaust fans and vents to filter out steam and heat to prevent moisture from seeping into the walls and taking shape on your windowpanes. For fireplaces, make sure that you have the proper ventilation to channel out smoke and moisture, or otherwise condensation will be an inevitable issue. Dehumidifiers are essential tools in keeping your home dry and moisture-free, and that’s why so many homeowners keep a dehumidifier running in their basements almost all of the time. Sucking out the humidity and keeping a moisture prone area of your home dry and cool is a surefire way to defeat condensation. If you live in an older home with windows that may not be up to date, then insulation and a poor seal could be the issue. If colder air is mingling with the heat inside of your home, then moisture is going to form inside of the windowpanes and this could be an expensive problem to fix down the road. Every spring, you should check your windows and check the glazing, weather stripping and the seal to ensure that you’re conserving the energy inside your home and preventing moisture from forming. Reglazing and caulking are small tasks that can take only minutes to complete, and the weatherproofing effect afterwards can save you on what would be expensive energy bills and in stopping condensation on the windows. You would be surprised what this small household chore can do for regulating the temperature inside your home as well as the humidity levels that cause the condensation to form. While you could go the route of a plastic window kit that uses heat to create a seal during the colder months, window replacement is going to be the best solution. Window kits are somewhat effective, but do you really want to have plastic wrap on your windows all winter long? In the long run, newer window are going to be your best bet because of their superior seal, weatherproofing, and energy conservation and efficiency. New windows are an investment that can save you on energy bills and put an end to the problem that began your search for a solution in the first place, condensation. Especially for condensation that is forming between the panes, there might not be much of a solution for you to try unless you replace the window. Some windows, no matter the amount of heat-secured plastic from a window kit, sealant, caulking, and glazing, are just doomed to expel precious interior energy and attract moisture. In the end, with the potential damage that moisture can do to your home, it’s going to be far easier and cheaper to replace the deteriorating window with a new energy efficient one. Mold and mildew are just the beginning of a condensation-related issue for your home. Unfortunately, as you likely are already aware, moisture is never a good sign for any home, regardless of whether it’s newly built or an older home. Over time, the more moisture your windows, walls, and floors see, the more likely that the structures of a home can weaken and this could amount to serious foundational problems that could end up costing you hundreds to thousands of dollars in repairs. You don’t necessarily need to run out to buy new windows immediately. There is nothing wrong with trying a few at-home remedies first to see if you can stop condensation from occurring. Basic steps like a dehumidifier, new caulking around the windows and installing vents and fans in places that are bound to see moisture, heat, and steam, are easy and cost-effective methods for deterring condensation. Even moving your ferns and houseplants outside could immensely help in stopping condensation from taking place, as they are known to contribute to the problem. The important part to remember is to be vigilant and to keep your eye on your windows to ensure that this problem does not persist. If you feel as if you have tried it all and condensation is still an issue in your home, then the solution may just be that it’s time for new windows after all. Replacing your windows is one of the easiest ways to update your home, making it more energy-efficient and comfortable year round. Look no further than Feldco for your window replacement. We have a variety of style and color options available for your home. Speak to a product specialist and get a free quote today!